Prominent & Leading Manufacturer from Coimbatore, we offer granule filling machine, mustard seeds packing machine, sesame seeds packing machine and automatic seeds packing machine. Manufactured in compliance with the set industrial norms, the offered Granule Filling Machine standard is always maintained. Owing to the raw materials used in their making, the product’s sturdiness and durability is quite high. 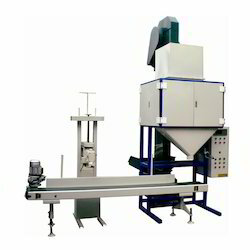 Used for packaging of a number of granular products, the machine’s functionality is quite high. In addition, these user friendly machines are offered at the best price possible. 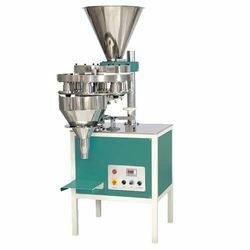 We are specialized in the manufacturing and supplying of utmost quality Mustard Seeds Packing Machines. Highly demanded across the nation, these machines are manufactured in accordance with the industry set norms and parameters. Made available in industry leading prices, offered machines are acclaimed for their optimum performance level, abrasion resistance and a longer functional life. We are looking for queries for Mustard Seeds Packing Machine from Coimbatore , Tamil Nadu, Kerala, Karnataka & Andhra Pradesh. Owing to our rich domain expertise and the efforts by our team, we have been able to offer superlative quality Sesame Seeds Packing Machine at market leading prices. Offered products are stringently checked by the quality controllers to ensure unmatched quality. These machines are globally demanded for their hassle-free performance, smooth functionality and minimum electricity consumption. We are looking for queries for Sesame Seeds Packing Machine from Coimbatore , Tamil Nadu, Kerala, Karnataka & Andhra Pradesh. Enriched with a vast industry experience, we are engaged in the manufacturing and supplying of Automatic Seeds Packing Machine. Made available at industry leading prices, these machines are manufactured in accordance with the international norms. The machines we offer are easy to install and demanded for their optimum performance and high durability. 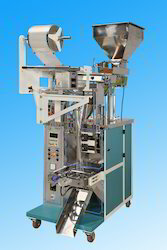 Automatic Seeds Packing Machine from Coimbatore , Tamil Nadu, Kerala, Karnataka & Andhra Pradesh.